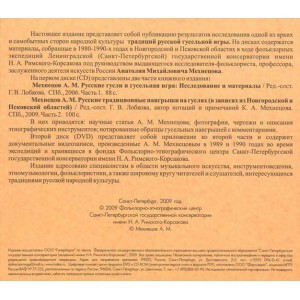 Mehnetsov A.M. Russian gusli and gusli playing: Research and materials / Edited and compiled by G.V. Lobkova. SPb., 2006. Part 1. 88. 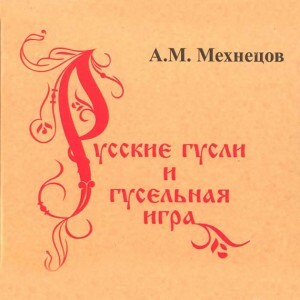 Mehnetsov A.M. Russian traditional folk tunes on the gusli (in the records of the Novgorod and Pskov regions) / Edited and compiled by G.V. Lobkova, author notes K.A. Mehnetsova. SPb., 2009. Part 2. 100. 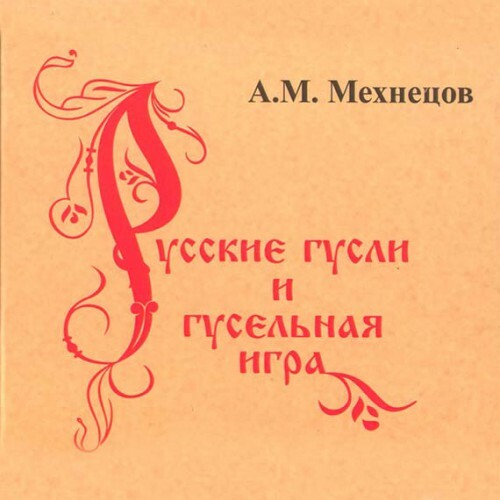 These books are scholarly articles A.M. Mehnetsova; photographs, drawings and descriptions of Russian traditional musical instruments; musical notes the gusli tunes with comments. The second disc (DVD) is an application for the second part and contains documentary video produced by A.M. Mehnetsov in the years 1989 and 1990 during the expedition and stored in the collections of folklore-ethnographic center of the St. Petersburg State Conservatory named after N.A. Rimsky-Korsakov. The publication is addressed to specialists in the field of music, ethnomusicology, folklore, as well as a wide range of readers and listeners who are interested in the traditions of Russian folk culture.